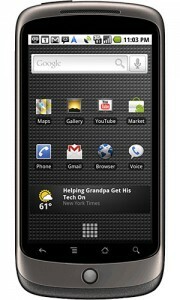 “Starting today, Nexus One users will begin to receive the Android 2.2 (codenamed Froyo) over-the-air software update on their phones. This update provides some great new features including support for making your handset a portable hotspot and support for Adobe Flash within the browser. For a complete list of everything we’ve included in Android 2.2, please see the Android 2.2 Platform Highlights.